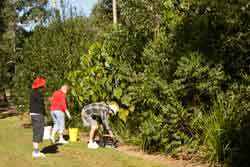 Our group works at Brook Park, Ferny Hills with entry via Kuringal Drive. 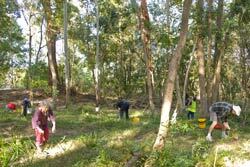 Our close group of community volunteers has worked tirelessly to remove environmental weeds in Brook Park for over the past six years. 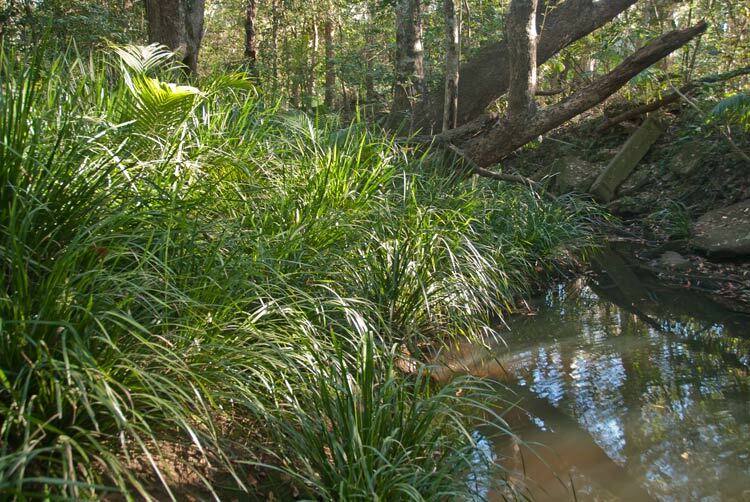 Kedron Brook serves as the southern boundary of Moreton Bay Regional Council (MBRC) - Southern Region along this section. 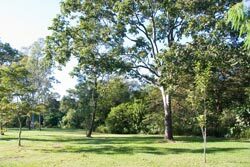 (Previously, this area was served by the now-defunct Pine Rivers Shire Council until 2008.) 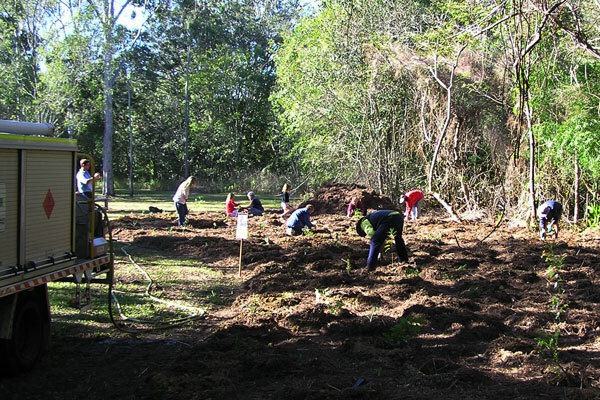 We get regular support from the Parks, Reserves and Landscape Services of the present Council. Our previous Bushcare Officer was Adam Christison. We now have Wendy Heath who gives us regular guidance and assistance. See our location on UBD Map 137 ref. 3R. 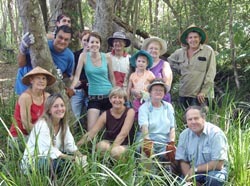 Brook Park is a vital link in the Mountains to Mangroves Corridor particularly because of the large forest remnant there. 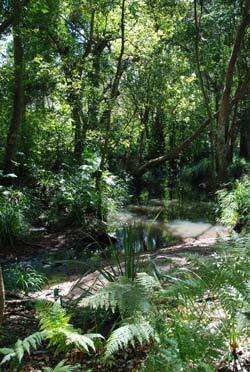 As such it provides both a significant pathway and habitat for a wide range of wildlife. 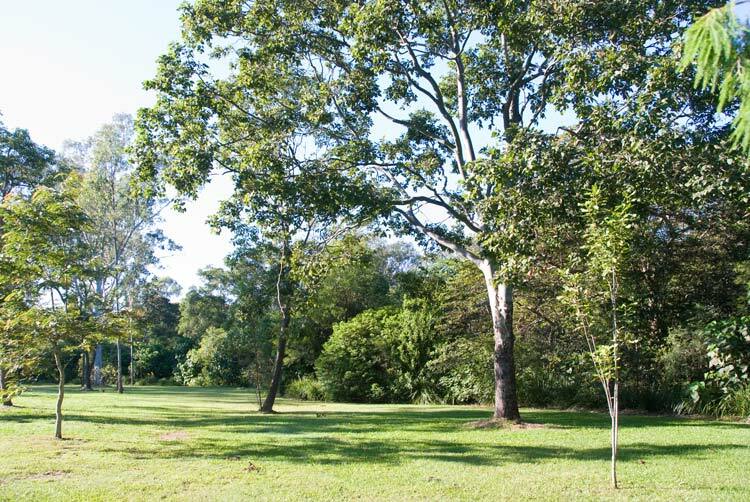 This remnant is currently in good condition with a well established canopy of primarily native species. However, Chinese elm, camphor laurel and other bird dispersed weed species have invaded the area. Bamboo appeared some years ago and has since spread rampantly over a grassy embankment into the forest. Classified as a gallery rainforest (notophyll vine forest) on alluvial plains, this forest has considerable biodiversity and parts of it have "State significance" indicated on state environmental biodiversity maps. The other parts rate highly within the urban environment. 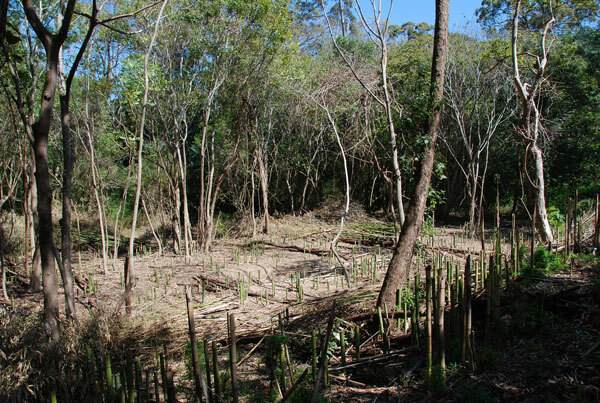 For management purposes in a recent vegetation survey, this forest remnant was divided up into four management unit areas at this location. 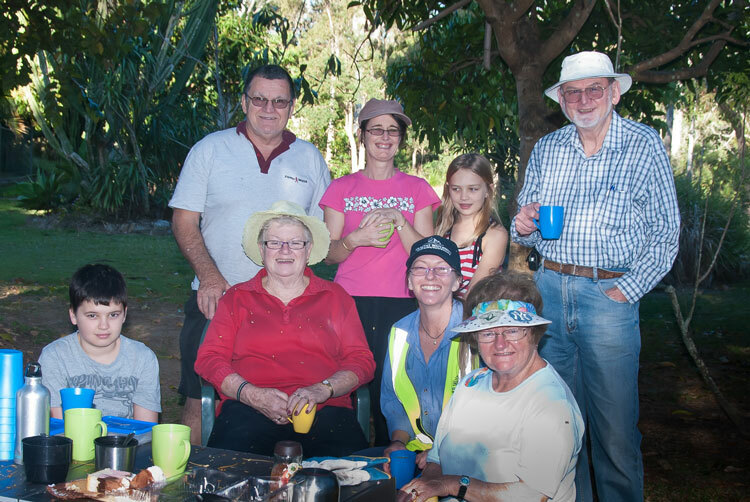 Our bushcare group is mainly working in unit Bro002 that has been estimated as suffering the greatest threat in relation to the value it represents to nature and our community. This is because of its location, biodiversity and the immediate threat posed by a wide range of invasive enviromental weeds. 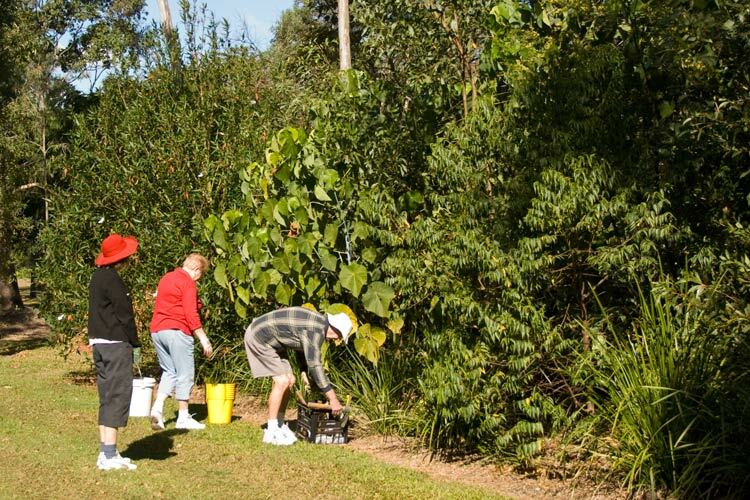 Link to a report on weed management within Kedron Brook Catchment that contains useful information about weeds on our site. 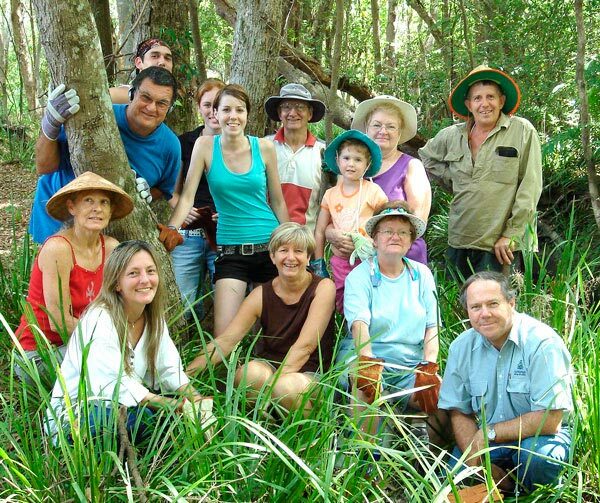 In early 2007, Brook Park Bushcare Group received a $5000 Community Assistance Scheme grant to support its bid to enhance the Kedron Brook Waterway. 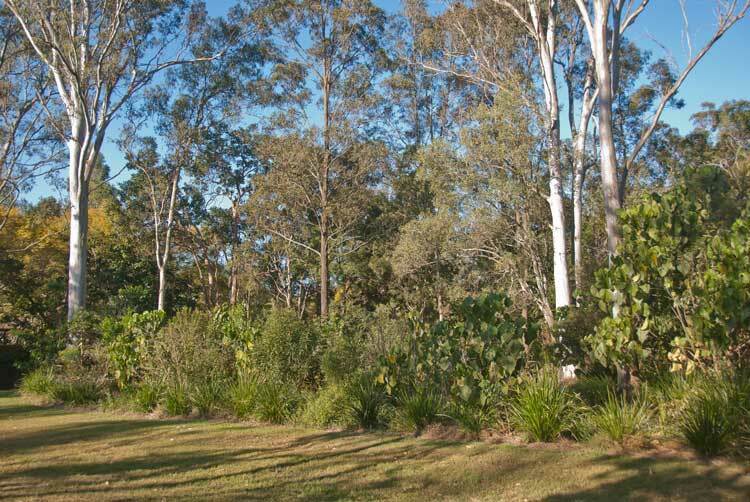 Personally supported by Councillor Battersby, the grant money was allocated under the environmental category of Pine Rivers Shire Council’s Community Assistance Scheme in 2007. 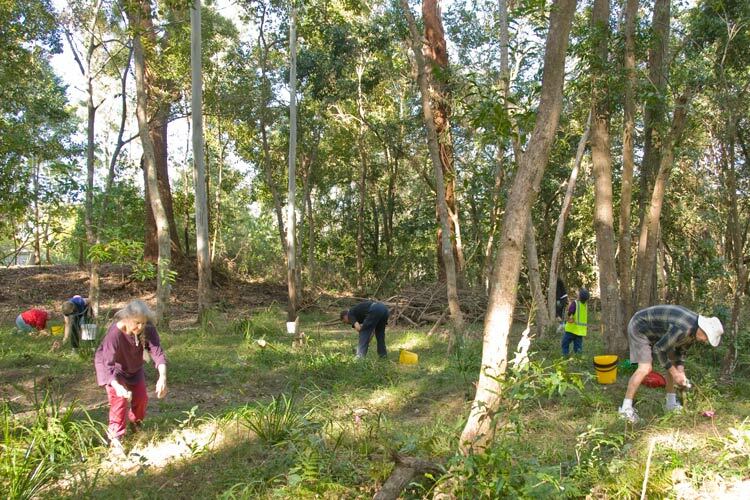 This timely support enabled us to clear a large section of weeds along the banks of the Kedron Brook and to re-establish a buffer of native vegetation. In 2008, a $2500 grant from Brisbane City Council was matched by Pine Rivers Shire and another massive effort was carried out through the winter and spring seasons for this year. The bamboo infestation was particularly difficult to remove. Steady work by our local volunteers, especially from Henry and Mary Cichowski, removed most of the weed but suckering was still widespread. Council assistance continued with follow-up at periodic intervals with chemical treatment of the sporadic suckering. This is expected to be necessary for some time until we can finally claim to have beaten this weed. 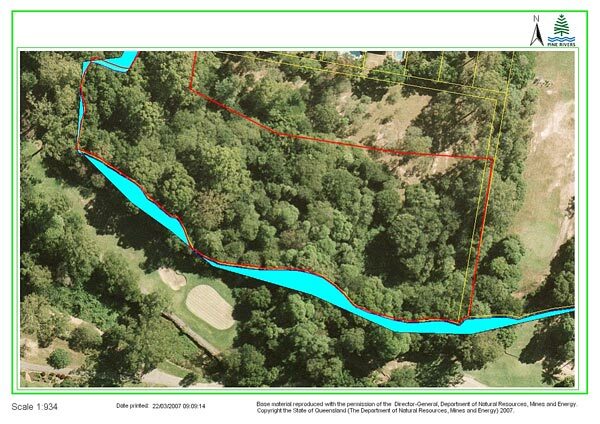 Late in 2010, MBRC Bushcare had a significant amount of chinese elm removed in behind the planting buffer. This area is a good example of a weed canopy species (chinese elm) that has completely replaced the native vegetation and is dominating the area.This area will now need to be weeded and revegetated/regenerated to continue the progress of the site. 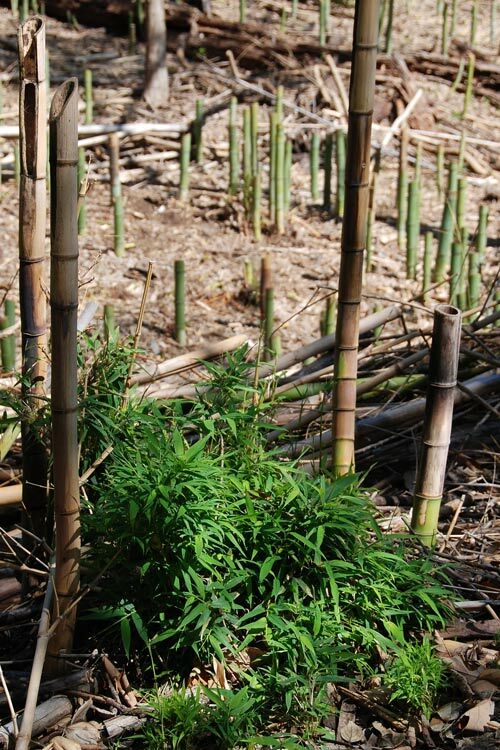 In 2012, steady progress was made with effective follow up on some minor bamboo regrowth to a point where it is no longer the major problem any more. Chinese Elm is a major problem but is getting a gradual persistent removal over time. 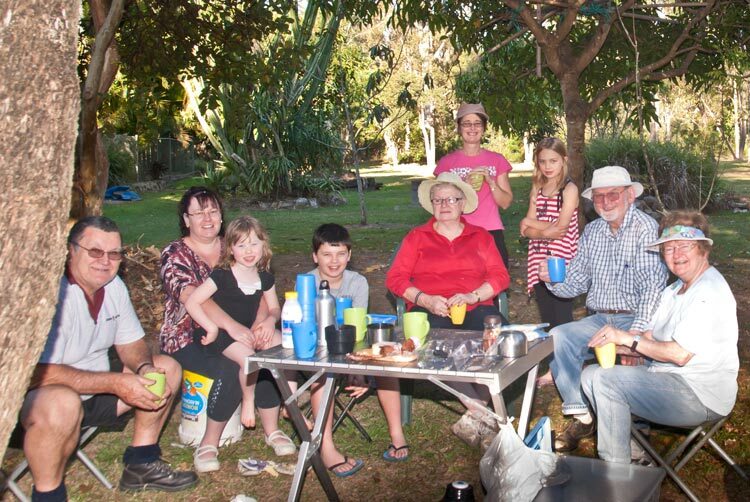 Our Group would welcome any interested people along to our monthly weeding and revegetation activities. We normally meet on the second Saturday of the month between 2 and 4 pm. 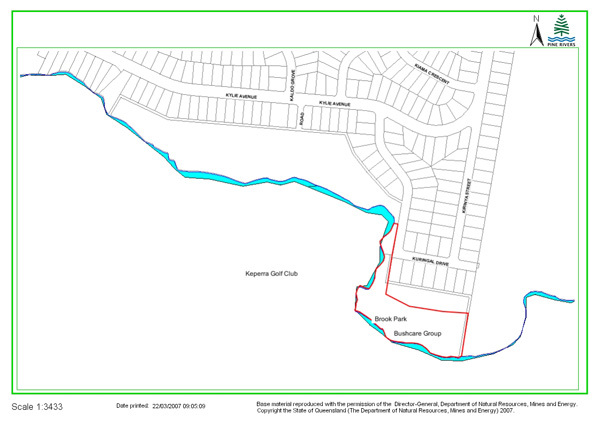 Come via the park access off Kuringal Drive. We always finish with a cuppa and a social mag. Check with our contacts below to ensure there has not been any changes in meeting timing.